When the Renault brothers set up their company they immediately saw that racing brought car brands publicity and popularity. Starting out in the small car, or "voiturettes", categories they quickly made a name for themselves in the city-to-city races in the early years of the 29th century. 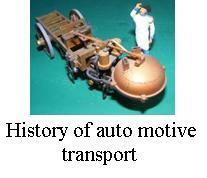 Renault moved up a category for the 1902 Paris-Vienna event. They entered 3 Type K “light cars” alongside 4 of their small cars. Having to cross the Alps through the Arlberg Pass, 1,500m above sea level, the going was always going to be tough. The intrepid drivers braved the elements snuggling down in their leather coats for protection against the biting wind and the stones of the mountainside roads. The Type K was small and light and nobody gave them much of a chance against the large and powerful vehicles like Count Zborowksi’s Mercedes and Henry Farman's Panhard. The Type K’s light weight made it very competitive on the steep roads and Marcel Renault took advantage to cross the finish line first, having covered the 1,300 km at an incredible average speed of 62.5 kph! His winning time being 15:47:43. Thus the Type K brought Renault its first major overall win and Renault cars were now serious contenders across all categories. This race is, in retrospect, sometimes referred to as the 7th Grand Prix de l'ACF. This model was made from a very simple kit with very few parts. It was approached as a painting exercise and shows how carefully picking out details, using washes and dry brushing highlights can make even a humble kit look good. The only problem is the vinyl style plastic the model is moulded in doesn't like paint and it has flaked off in some places despite Halfords grey plastic primer!